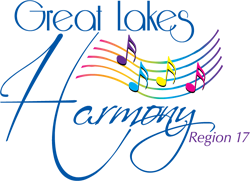 Region 17 is thrilled to have Kim Vaughn as our featured faculty for this Harmony Weekend. Certified Sound Judge, Master Director 700, three-time International quartet champion and honored with the Lifetime Achievement Award in 2014. More details on this exciting event as we get closer to the date.